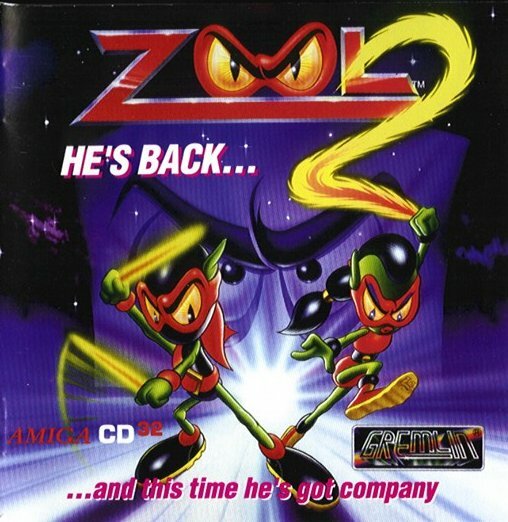 Zool 2 is back again on CD32 and it's an ok follow up to Zool, but the only new thing is that you now choose between 2 ants before start. You can play 2 players, but not at the same time. 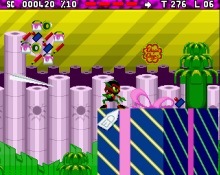 It contains the same CD enhancements as the first Zool and that is CDDA and 3D Intro. Besides this , all music is new, level design and new GFX. There may be some new gadgets too, but didn't notice them. 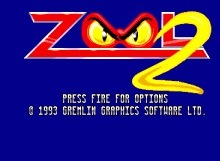 If you liked the first Zool, you will like this one too. 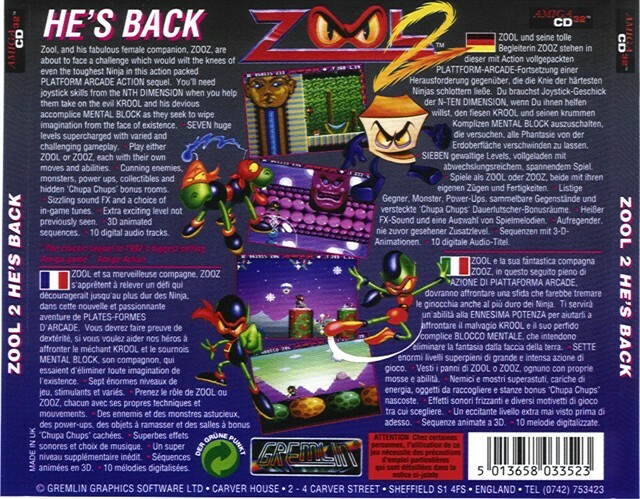 You can ready my Zool 1 review here.